If you’re a mom, then you definitely remember the early days of being a parent when you would do anything to feel human again. Before kids, we tend to take things like having a hot shower and leisurely sipping on a cup of coffee for granted. When you’re dealing with a new baby, you pretty much have to be at their beck and call 24/7. 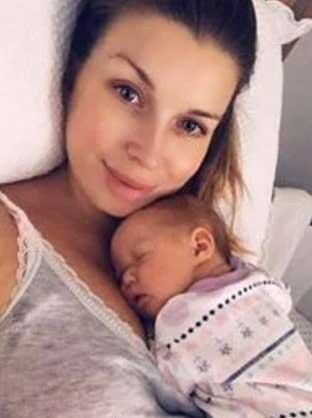 Well, Australia mom Melissa Dykstra came up with a brilliant hack that allowed her to sneak away from her sleeping baby for enough time that she could have a hot shower and finish her coffee. Melissa simply filled a rubber glove with some sand and placed it on her one-month-old daughter’s tummy. This mimicked the feeling of Melissa’s own hand being there, which comforted her baby and allowed her to quietly sneak off. 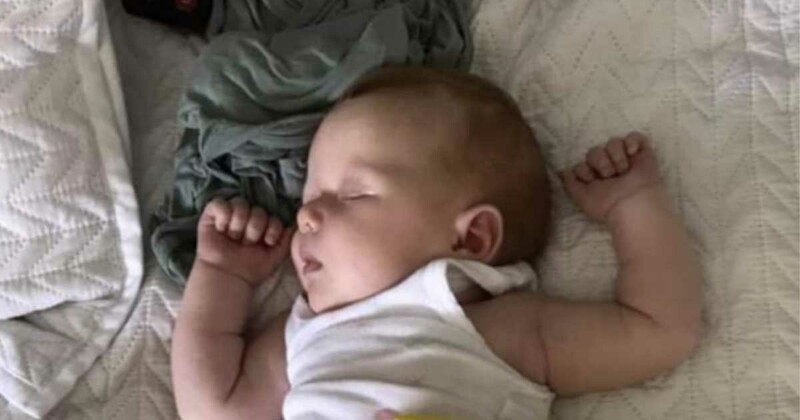 Melissa shared the genius tip to the Facebook group Baby Hints and Tips where it quickly went viral. “I did sit with her and she wasn’t upset when she woke up, just looked a little confused,” Melissa said. “She’s going through her first ‘leap’ (in her mental development) so she’s been extra clingy the last few days and makes it so hard to even go to the bathroom so I thought I’d try it and I was surprised at how well it worked,” she continued. So, if you’re a new mom (or grandma) and are itching for a few minutes on your own, this genius tip seems like it’s certainly worth a shot! Big thanks to Melissa for sharing her amazing secret!